BATTLEFORD, Sask. 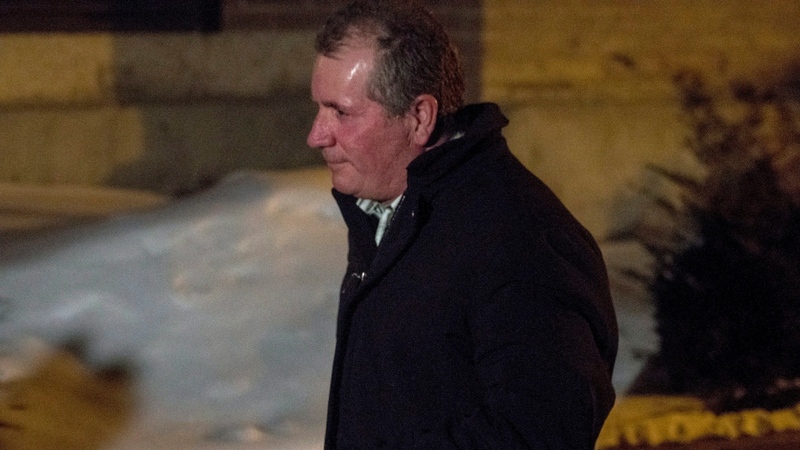 -- There were sobs of despair and cries of "murderer" in a Saskatchewan courtroom Friday night as a jury found a white farmer not guilty in the shooting death of an Indigenous man. From the beginning in August 2016, Colten Boushie's death and the second-degree murder charge against Gerald Stanley exposed an ugly side in rural Saskatchewan -- landowners who blame Indigenous people for high rates of property crime and First Nations who bear the brunt of that racism and hate. Outside court, Boushie's uncle Alvin Baptiste said there was no justice for his nephew. "How First Nations are treated in the justice system is not right," he said. "A white jury came out with a verdict of not guilty of Gerald Stanley, who shot and killed my nephew. This is how they treat us First Nations people. It is not right. Something has to be done about this -- the government, Justin Trudeau, we asked you to give us Indigenous people justice." Stanley, 56, turned and looked into the gallery after the verdict came down while Boushie's family and friends gasped and yelled. Shouts of "murderer" could be heard from those in the gallery. Boushie's cousin Jade Tootoosis said the family will push for an appeal. "There was no justice served here today. We hoped for justice from Colten. However, we did not see it," she said outside court. "We will fight for an appeal and answers to all the racism that my family has experienced from the day that Colten was shot, until the jury delivered the verdict of not guilty. We will not stop our pursuit for justice." 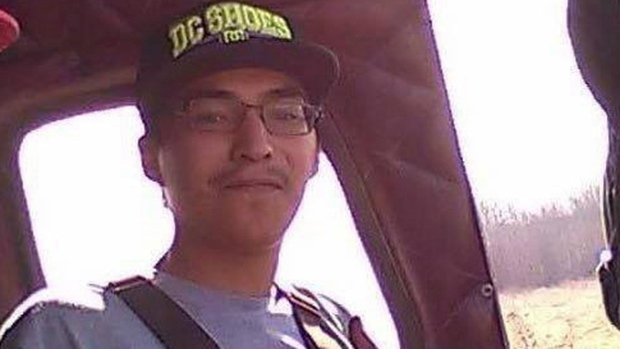 The trial heard that Boushie, from the Red Pheasant First Nation, was shot in the head while he was sitting in an SUV that had been driven onto Stanley's farm near Biggar, Sask. Stanley's son testified that he and his father heard an ATV start up and they thought it was being stolen. Stanley testified that he fired warning shots to scare the group off. He said that the fatal shot occurred when he reached into the SUV to grab the keys out of the ignition and his gun "just went off." "One side is very unhappy tonight, but there is never any winner in a case like this," he said. "We were there to present the evidence. We didn't leave anything out that would have made a difference. There was nothing more that could be done. We put it out there. The jury made their decision. That's their duty and they took it seriously." Indigenous leaders were upset with an initial report from police that the young people had been taken into custody as part of a theft investigation. Boushie's relatives said RCMP officers who came to the family home after the shooting were insensitive and treated them like suspects. On the other side, there were countless racist and hate-filled posts on social media. One municipal councillor wrote that Stanley's "only mistake was leaving witnesses." He later resigned. "This must stop," he wrote on Facebook. "These comments are not only unacceptable, intolerant and a betrayal of the very values and character of Saskatchewan, they are dangerous." 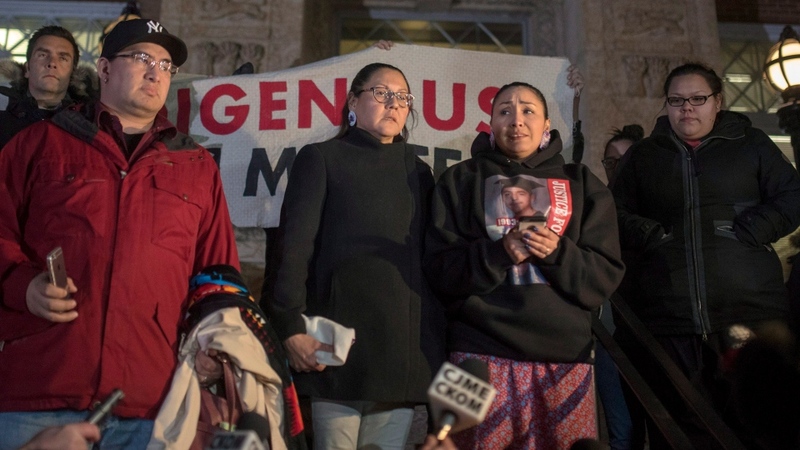 The Federation of Sovereign Indigenous Nations and Boushie's family raised concerns because there were no visibly Indigenous jurors selected. "To all of those who are broken today, please, please remain peaceful," said Kimberly Jonathan, a vice-chief with Saskatchewan's Federation of Sovereign Indigenous Nations. "It's not us against them," the vice-chief said. "We felt unsafe then and we're still unsafe. Someone can say it's an accident to shoot any one of us and they are found not guilty. "Let's live peaceful, let's coexist and live peacefully." "I know there may be some strong reactions," Moe said in a statement. "Let us all remember our personal responsibility for our thoughts, our actions, and our comments -- including those on social media. "Let us continue to demonstrate consideration, patience, and understanding for one another as we move forward together in reconciliation." Live updates from court in Battleford, Sask.